The Korda Heavy Needle is a great all round needle that can be used on all kinds of bait. 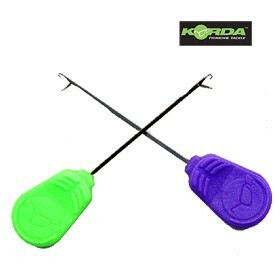 Korda have specially designed a range of baiting needles to cover every requirement. Engineered to the highest specifications each needle has been colour coded for easy retrieval from your tackle box with an ergonomic soft touch handle.